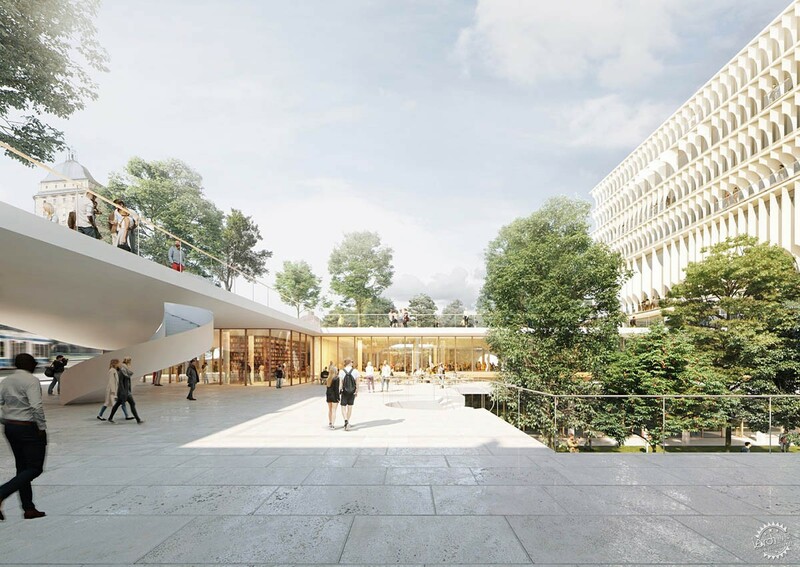 Swiss architects Herzog & de Meuron has released design for a new educational building at the University of Zurich campus, the new building will feature a big public space ascending to the one corner of the site. 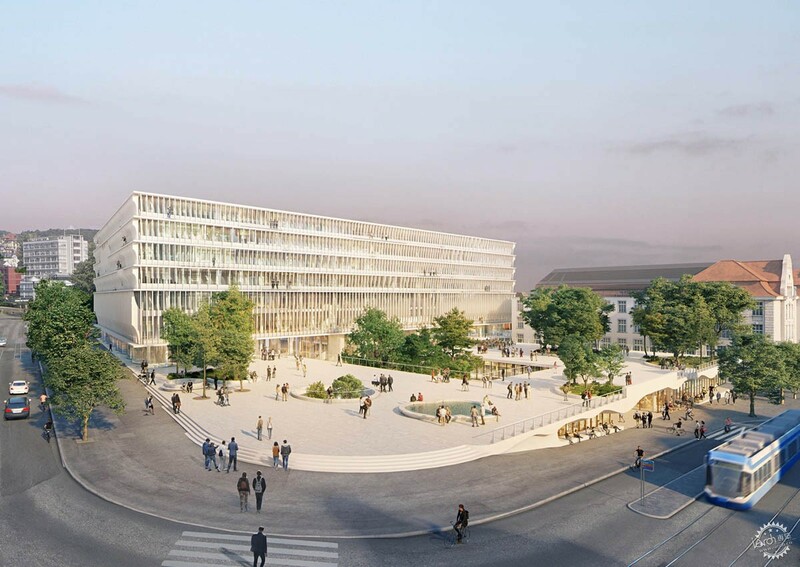 Named Forum UZH, the new building is conceived as a crucial element in ensuring the future viability of Zurich as a hub for higher education. A team led by Herzog & de Meuron working together with b+p baurealisation have been selected as the winners from the international architectural competition to develop the new educational building. 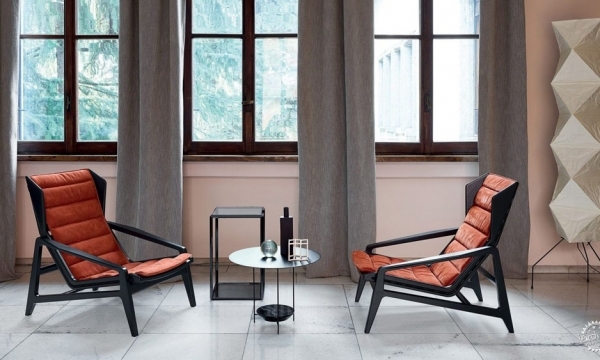 The University of Zurich (UZH) is currently spread out across several sites and many different premises in the city. This, along with some infrastructure elements that are outdated, makes it increasingly difficult to run the University in an efficient manner. 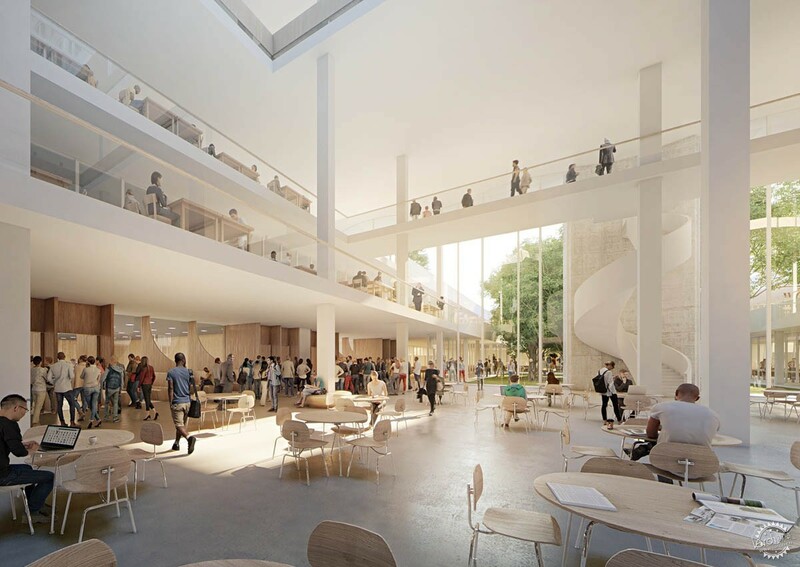 The new building will be a step forwards in terms of meeting the University’s growing need for space and updating its technology infrastructure. The two-campus strategy is designed to bundle UZH’s research areas according to subjects and concentrate them on the City and Irchel campuses. The Forum UZH incorporates the faculties of law, economics and modern languages together in one building in the middle of Zurich’s university and hospital quarter. The new university building consists of a topographical plinth for teaching, a hovering stand-alone building for research and a unifying Forum. "Space is at a premium around the university, more and more area is required for diverse institutions to guarantee a future for their research and teaching missions. 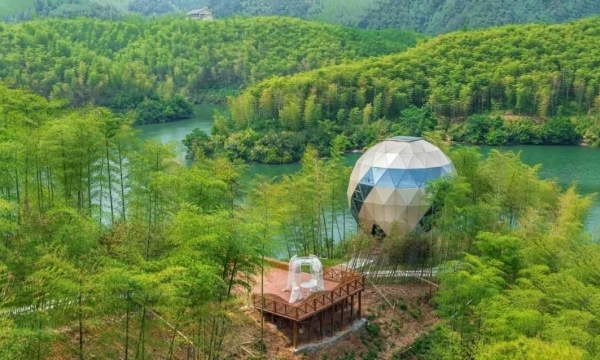 How, then, can spaces be created for people and nature?," said Herzog & de Meuron in a project description. "Only by placing many of the uses in an elevated building have we been able to bring daylight into the terraced plinth and make room for the public space that we were aiming for. The inviting atmosphere and the numerous trees will make the large plaza in front of the new building and also the Forum itself a new focal point of university and urban life," added the architects. The new education and research center will be built at the corner of Gloriastrasse and Rämistrasse. It will include a large library, teaching rooms, sports facilities, a cafeteria and public spaces. The lecture halls will replace current teaching rooms for medical students in the UniversityHospital Zurich’s main site and Gloriarank, which will be pulled down. 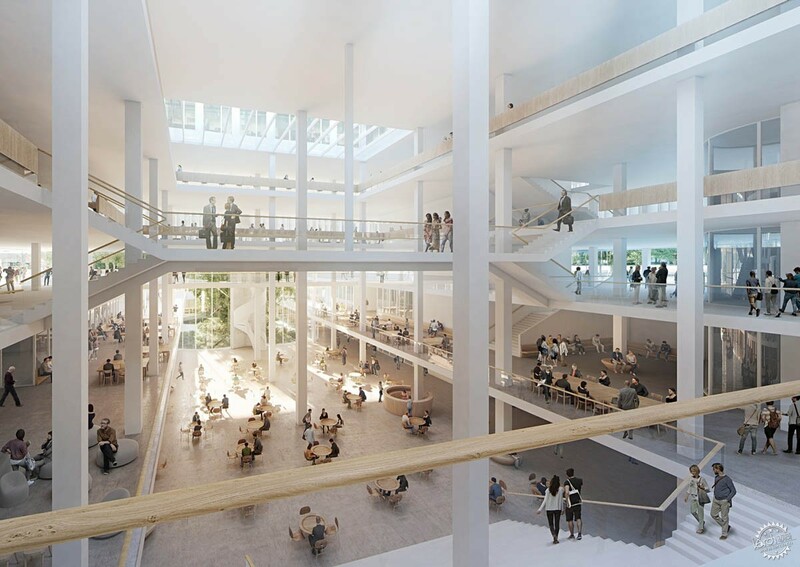 The Forum UZH will accommodate a total of 6,500 students and 1,100 employees, and provide around 700 work spaces for students. 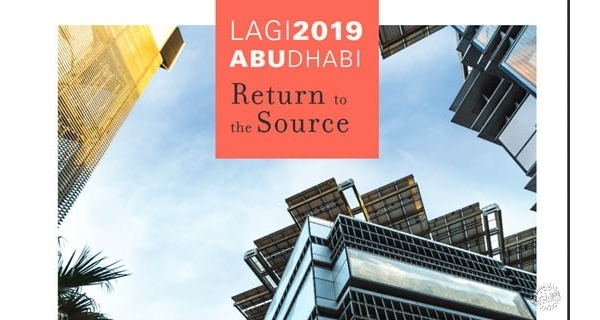 The building will include nine lecture halls with a total of 4,000 seats, seminar rooms for a variety of teaching formats, a café, shops as well as five gymnasiums and other sports facilities for students, high-school students and people living in the neighborhood. A stand-alone building for research will "hover" above the plinth. 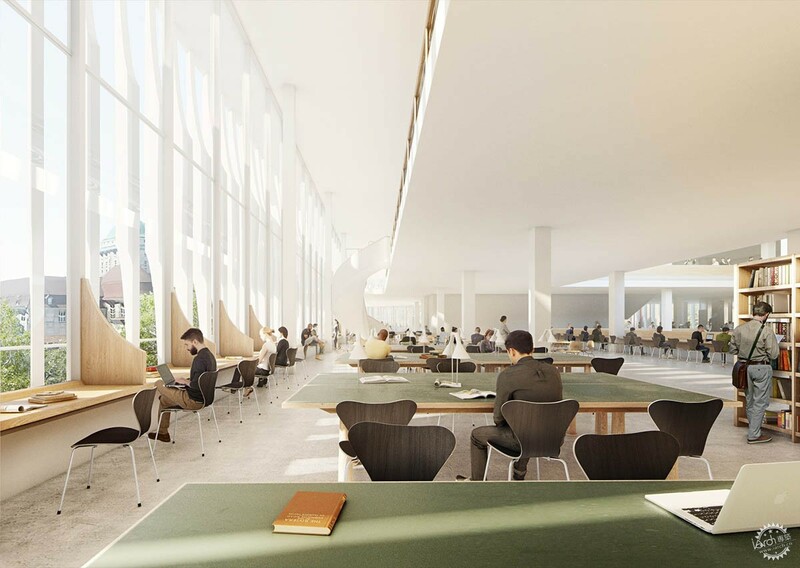 The trapezoid structure will primarily house offices and seminar rooms as well as a library featuring a two-story reading room and a space for learning that looks out onto the main building of UZH. The new structure is set back from the street far enough to allow for a central plaza in the heart of the university district. The large central hall forms the heart of the new building. It is a space for recreation, meeting people, working, and hosting events. This "academic marketplace" connects the trapezoid structure and the below-ground plinth and continues outdoors as a garden. Herzog & de Meuron's new Forum UZH is scheduled to be completed in 2027. 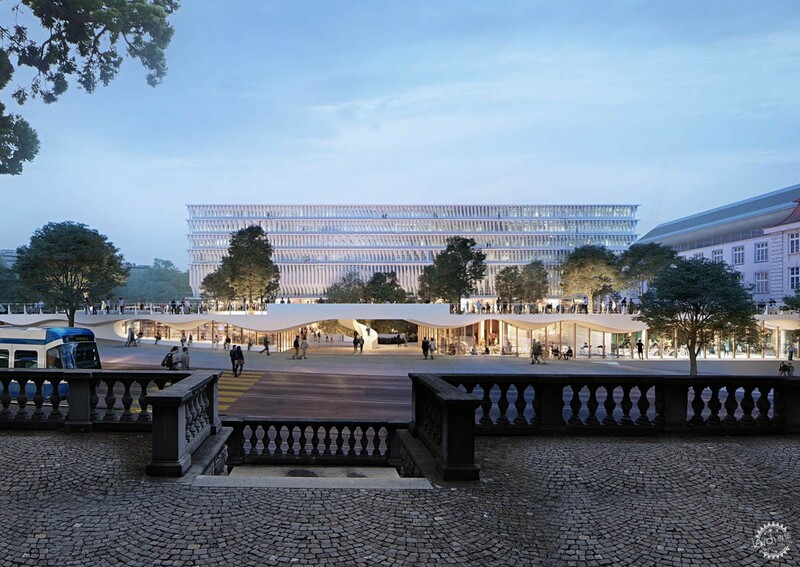 The project will be Herzog & de Meuron's second project in the city of Zurich.